Amidst the storm of controversy over Lyme disease, there remains the cold, hard facts: it’s not curable with merely 3-4 weeks of antibiotics. These stories are proof. Please view with an open mind. I hope you’ll understand how important it is to document the treatment and symptoms. The cold, hard truth…..watch this video with an open mind and heart. Here is a very easy to understand explanation of how the Lyme bacteria works in our bodies and why it’s so hard to kill. Below is another story of a battle with early disseminated Lyme: LD in the early stages. 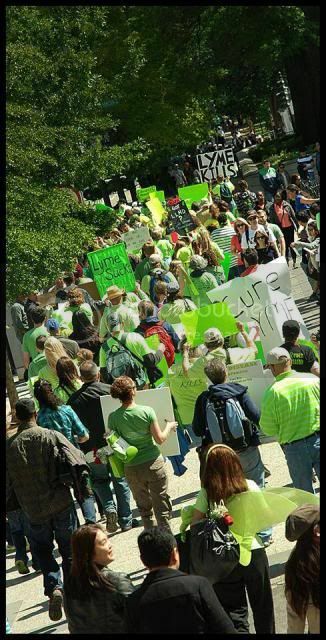 Dr. Joe Jemsek Speaks the Truth concerning Lyme Disease and health care in this country. annette, i remember watchingthis earlier; great job. feel free to use links from our mdj site on my LYME VIDEO COLLECTION; add yours to it post in SUPPORT.